London Luton Airport is an international airport located 1.5 miles east of the town centre of Luton in Bedfordshire. In 2016, over 14.6 million passengers passed through the airport making it the fifth busiest airport in the UK. 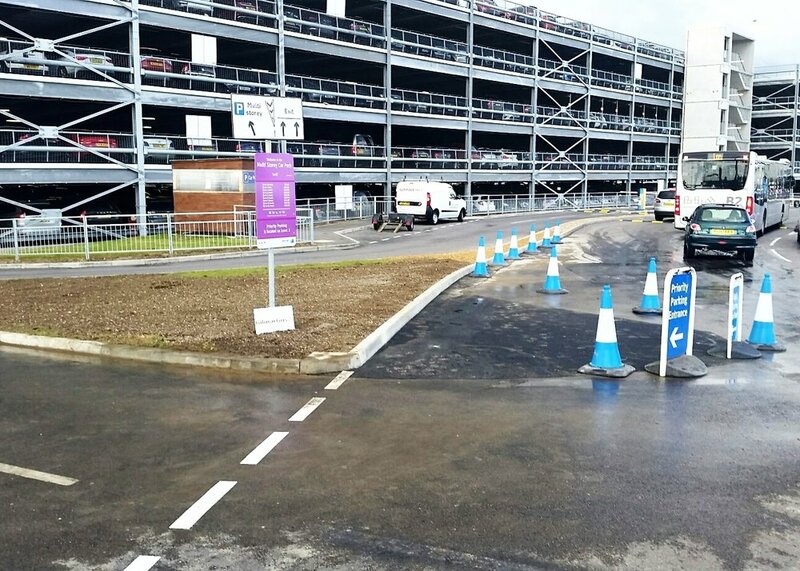 As part of the LLA Framework Gilmartins were engaged to realign the drop off zone exit plaza. The works comprised excavation of existing plaza, fitting of new kerb line and reconstruction of carriageway. One of the challenges faced and overcome was that access and working exit barriers had to be maintained throughout the works which required the development of a traffic management and marshalling plan. The works were completed within budget and programme with both parties delighted with the finished works.